June 5, 2018 – Woodbeck Auto Parts of Stirling, Ontario announced the start of their, ‘Donate a Car Campaign’ today. The two-month campaign signifies their commitment to making healthcare better for local patients as well as their desire to help the environment. When you donate your used car, truck, van, or SUV, Woodbeck Auto Parts will recycle it and give all of the proceeds to TMHF and BGHF. The government doesn’t buy medical equipment, community donors do. Initiatives like this one are invaluable in helping to raise the annual funds needed to equip our local hospitals. Owners, Bruce and Greg Woodbeck wanted to launch the campaign today to coincide with World Environment Day. In addition to helping our local hospitals, bringing awareness to the safe and eco-friendly way to dispose of unwanted vehicles is of the utmost importance to the father and son owners. 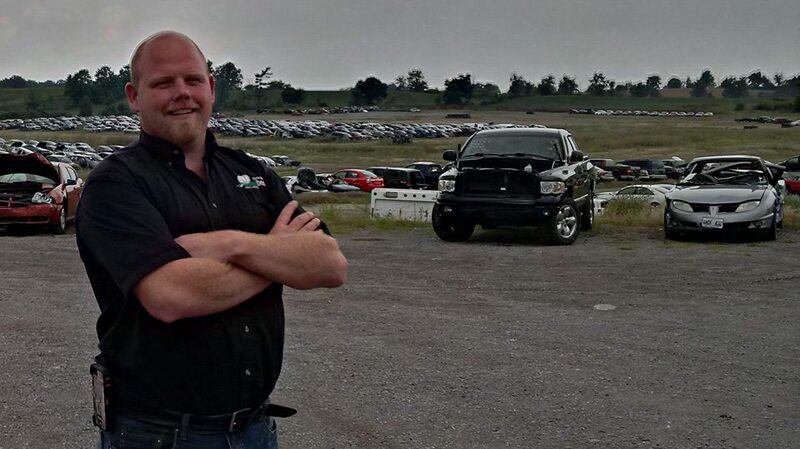 Woodbeck Auto Parts is one of approximately 900 auto recyclers in Ontario, and are completely environmentally friendly. Only a quarter of the industry in Canada is currently up to this standard. During the campaign, you can donate your operable or inoperable car, truck, van or SUV. The Woodbeck team will help coordinate all of the logistics and can arrange for a pick-up with 48 hours. Charitable receipts will be given to anyone who donates a vehicle during the campaign.